Well I just got in under the wire, but here is week 3! 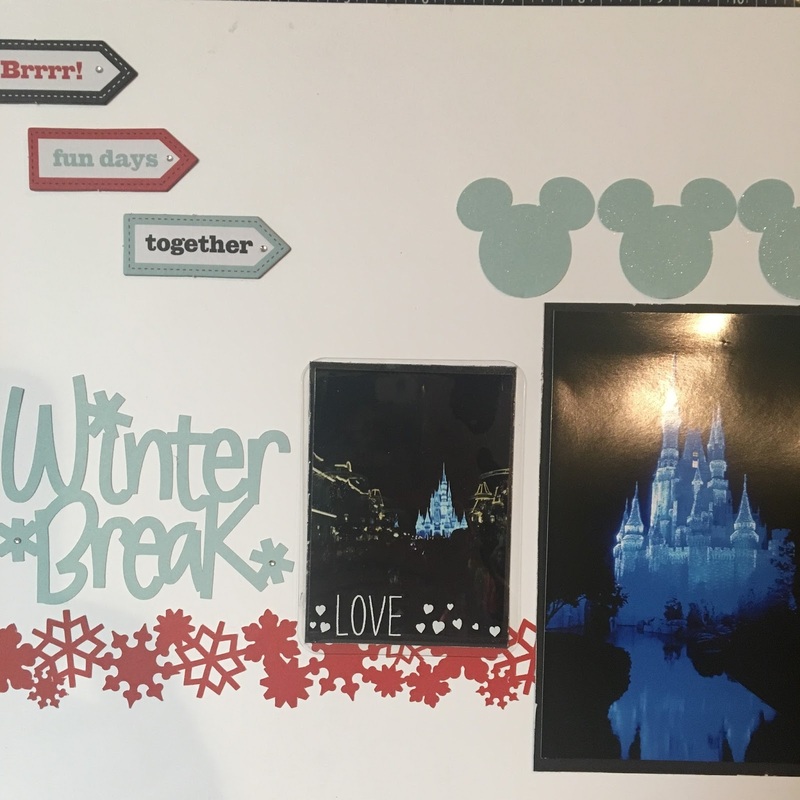 It may seem strange that the winter break layout has Disney pictures on it, but in 2015 a Disney vacation was what we did on Winter break! 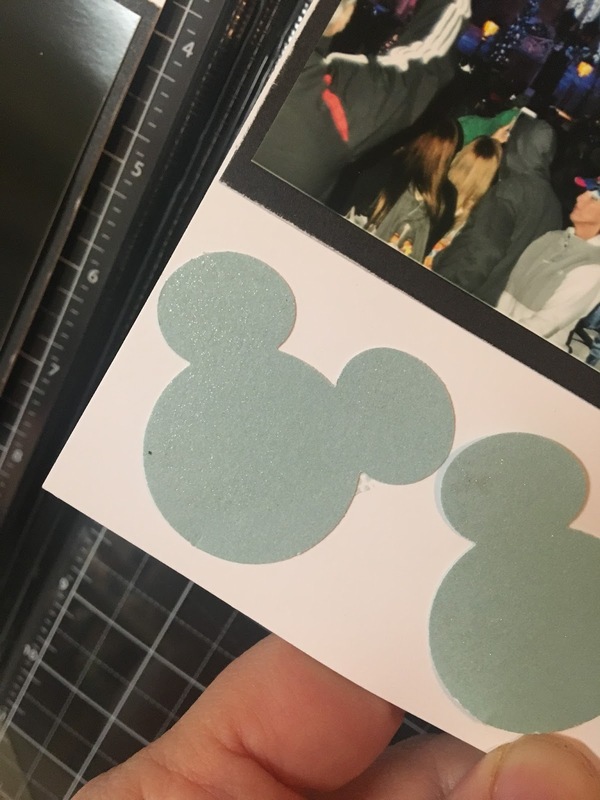 So I added some Mickey heads and went over them with our clear glitter pen so they would sparkle too just like the Castle! 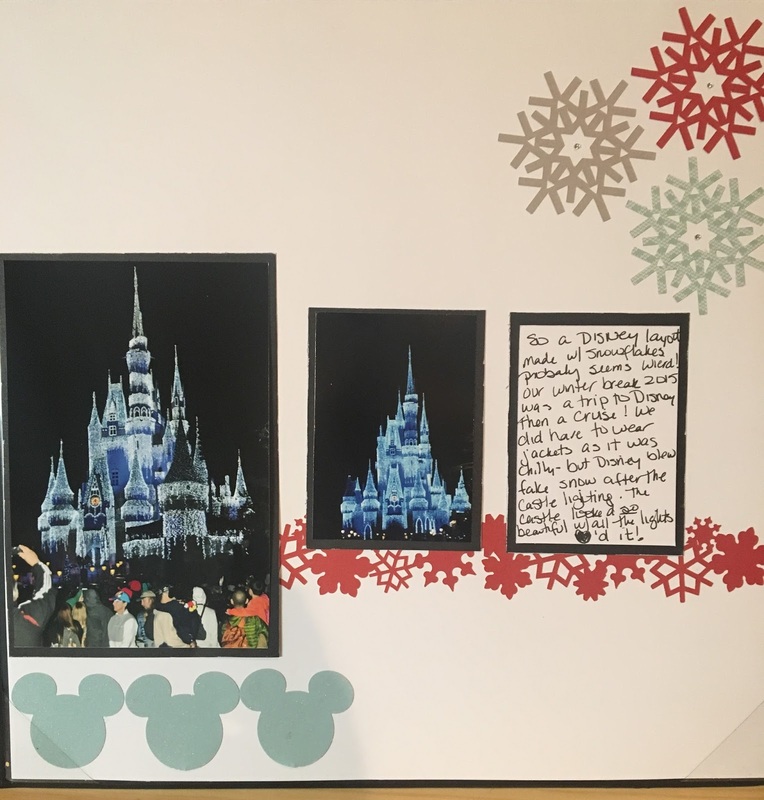 How are your layouts going? post them on social media with hashtags #nikkidscrafty and #gettinglayoutsdonein2017! I would love to see them! Or feel free to post them on my facebook page! 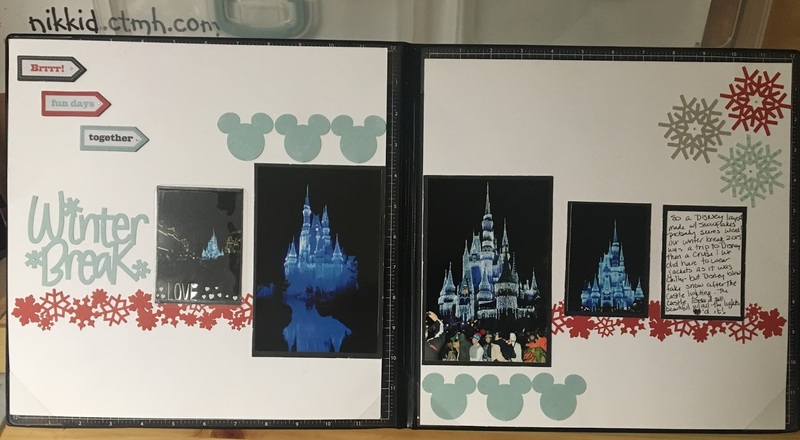 Previous Post Struggling to scrapbook non events? Next Post Don’t forget to order your Wreath!